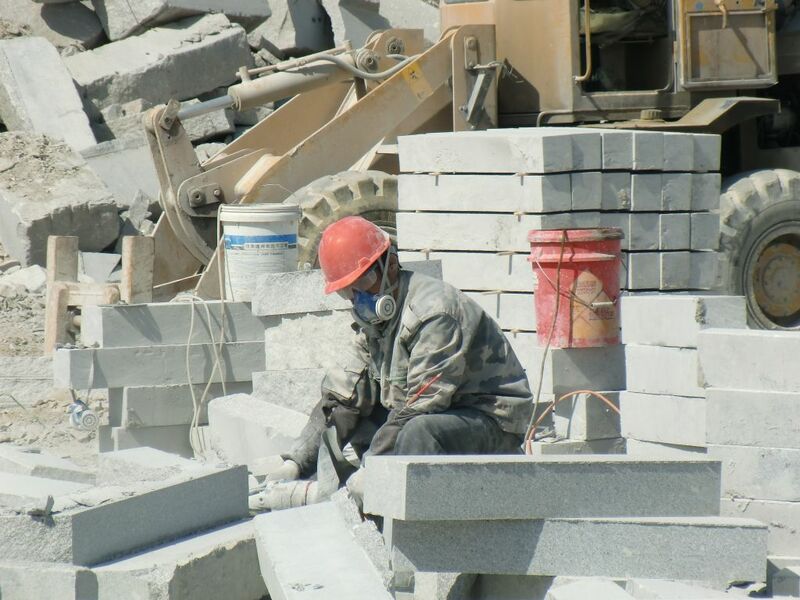 The worker doesn’t wear her Personal Protective Equipment (respiratory protection, hand guard, eye protection, ear plugs). 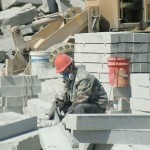 Workers are exposed to steady dust pollution. 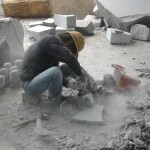 Their risk of acquiring silicosis while working without FFP2 masks is high. Their working posture is not ergonomic. 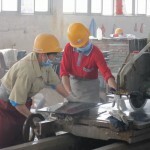 The worker does not wear any Personal Protective Equipment, although his work would require it. These workers wear PPE. 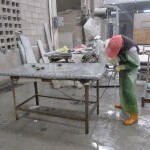 Wet processing reduces dust concentration. 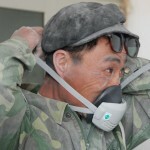 However, the dust masks of the workers are still not sufficient. 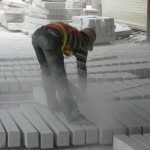 Although the worker wears PPE the breath protection is not up to the necessary FFP2 standard. 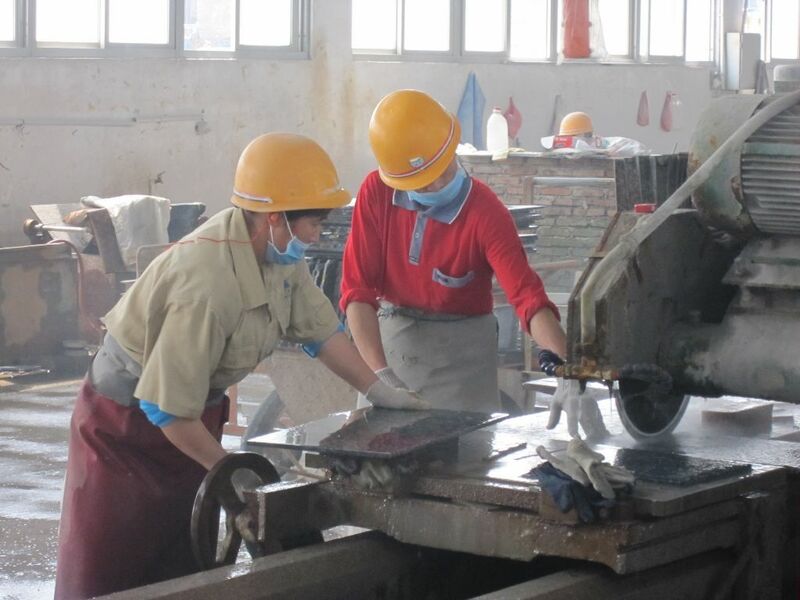 The workers learn the right usage of FFP2 dust masks and of the other PPE components in the Fair Stone workshop. 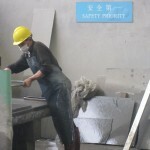 The worker is protected well by the PPE. 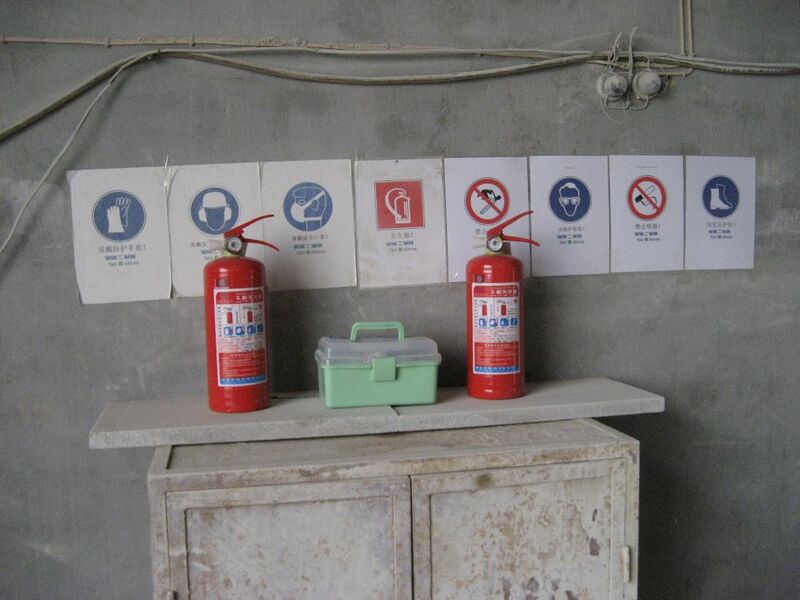 The fire extinguishers are missing. 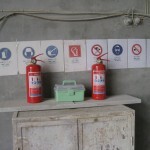 The safety signs and fire extinguishers are not installed sensibly. In dangerous situations, they do not provide immediate help. 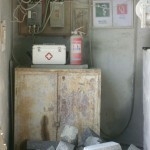 The path to fire extinguisher and First-Aid kit are barred by stone debris. 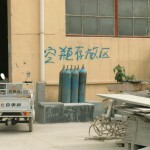 Fire extinguishers are properly marked. 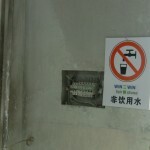 This safety sign (no drinking water) is not properly installed next to the electricity box. 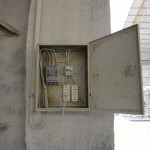 This electricity box is lockable and therefore save from water and dust. 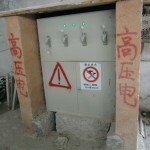 This electricity box is lockable and safe from water spills. It is properly marked. The burden is too heavy. 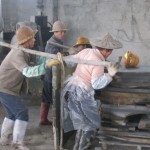 Workers do not have lifting or transportation devices available. They do not work ergonomically. 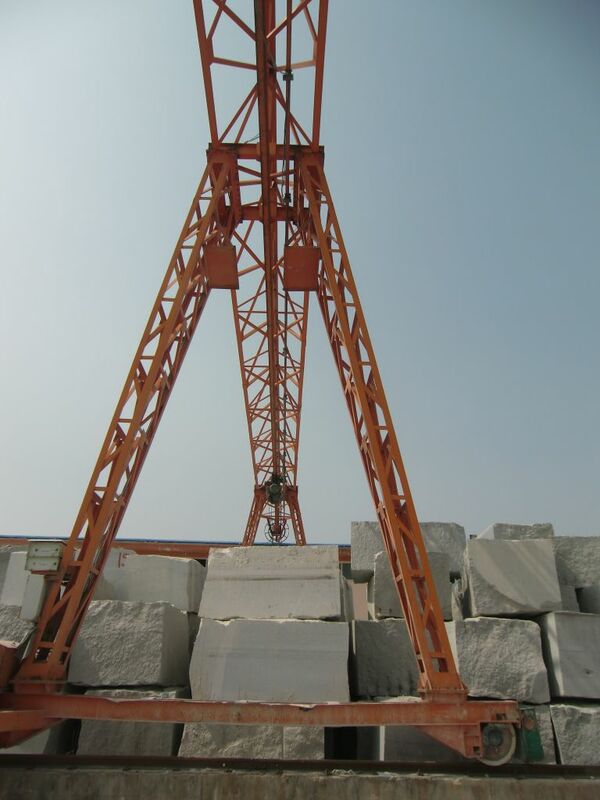 These waggons enable an easy transport of heavy loads. 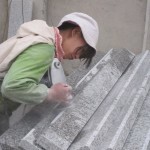 The worker has to work on the ground. 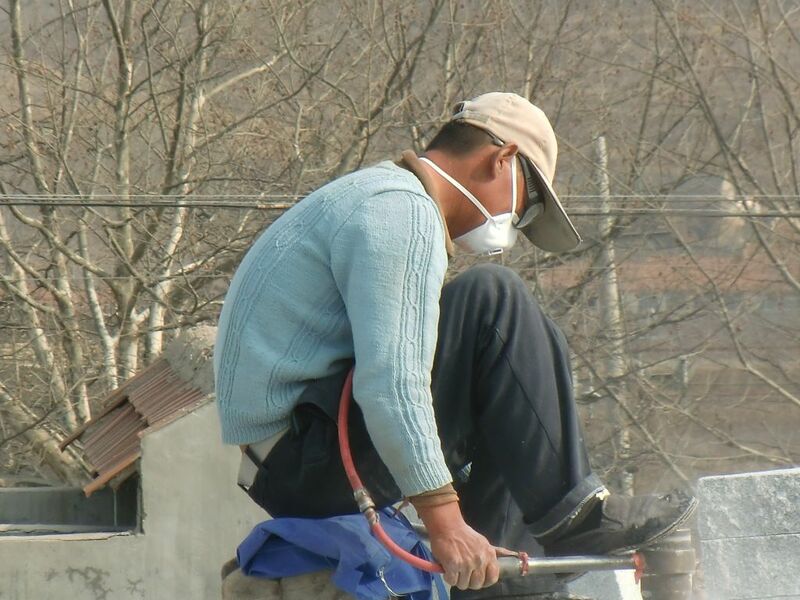 His working posture permanently harms his joints and back. 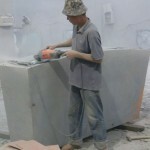 This worker works in an ergonomical unhealthy position that will damage his spine and joints in the long term. 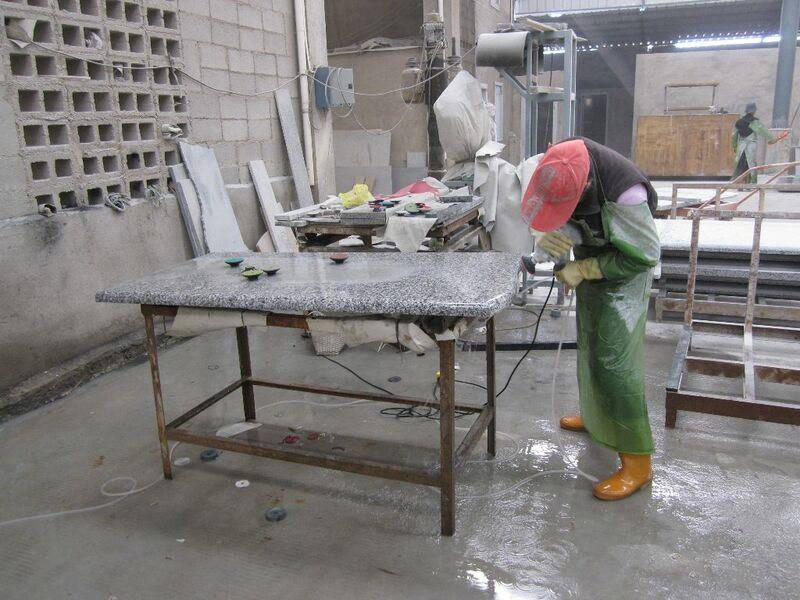 The table enables the worker to polish in a healthy posture. 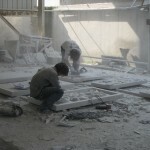 The work in this factory is dangerous. 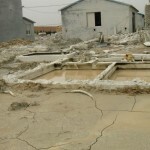 The paths are not accessible and the stones are not stored safely. This factory is very disorderly. 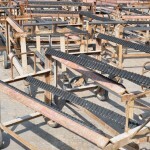 The storage of the saw blades is further very dangerous as they can fall and are difficult to access. 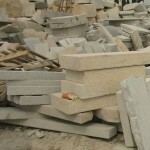 The blades are stored properly – but the access is still blocked by stone debris. 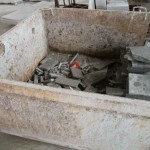 Stone debris is collected in this container and therefore no longer harms or endangers workers. 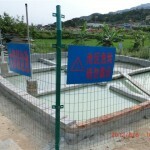 The water recycling facility is installed correctly and is regularly cleaned. The Water Recycling facility has overflowed. 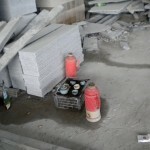 The workers have no recreation room available for their breaks. 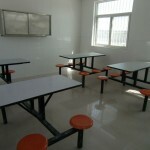 Workers can use the common kitchen and take breaks there.